Once an account has been set up, the mono shop must be linked to your payment gateway account. 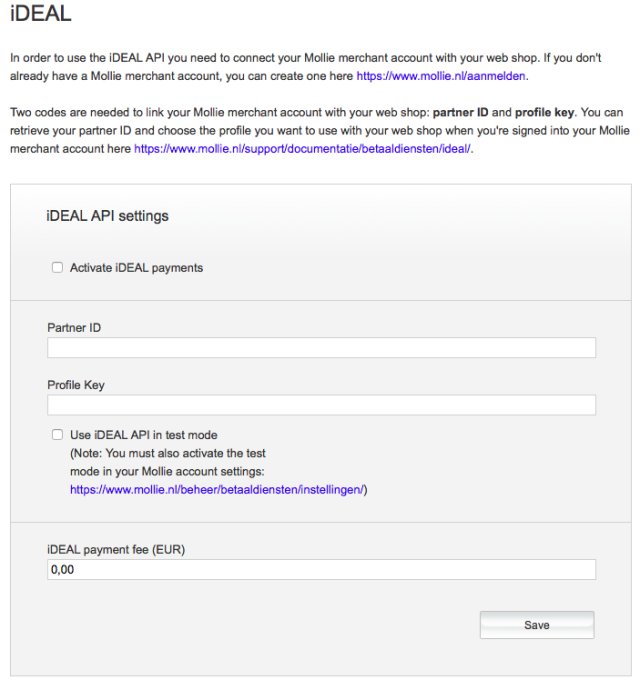 For iDEAL payments you need to insert the “Partner ID” and "Profile Key". This information is found in your Mollie account.